Dark Buzz: What quantum feature killed the classical picture? What quantum feature killed the classical picture? At a fundamental level, the classical picture of the world is dead, and has been dead now for almost a century. Pinning down exactly which quantum phenomena are responsible for this has proved to be a tricky and controversial question, but a lot of progress has been made in the past few decades. We now have a range of precise statements showing that whatever the ultimate laws of Nature are, they cannot be classical. In this article, we review results on the fundamental phenomena of quantum theory that cannot be understood in classical terms. 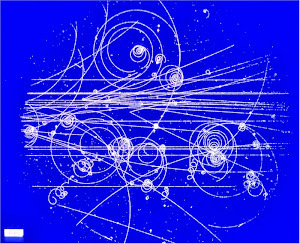 We proceed by first granting quite a broad notion of classicality, describe a range of quantum phenomena (such as randomness, discreteness, the indistinguishability of states, measurement-uncertainty, measurement-disturbance, complementarity, noncommutativity, interference, the no-cloning theorem, and the collapse of the wave-packet) that do fall under its liberal scope, and then finally describe some aspects of quantum physics that can never admit a classical understanding -- the intrinsically quantum mechanical aspects of Nature. The most famous of these is Bell's theorem, but we also review two more recent results in this area. I agree with them that those other things are not so radically different from classical mechanics, but then they go nuts with the profundity of Bell's Theorem. To sum up, we have shown that many phenomena that are traditionally viewed as intrinsically quantum-mechanical; such as randomness, discreteness, the indistinguishability of states, measurement-uncertainty, measurement-disturbance, complementarity, non-commutativity, interference, the no-cloning theorem, and the collapse of the wave-packet; all appear within classical statistical mechanics under reversible dynamics. These serve to map out classical fragments of quantum physics, in a search for the genuinely strange aspects of the theory. In addition to Bell’s theorem on the failure of local causality at a fundamental level, we have described two less well-known results that reveal further deep and subtle insights into the quantum realm. Bell's theorem is a consequence of non-commutivity and those other principles. It does not contradict local causality, unless you are using contrived definitions (as the paper does). If two observables do not commute, then measuring one leaves some uncertainty in the other one. That is the quantum behavior at the core of Bell's theorem. 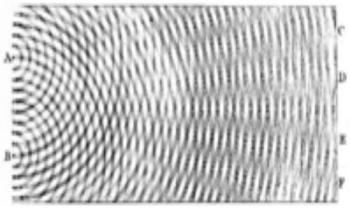 Measuring the position of an electron has the effect of localizing it, and that creates uncertainty in momentum. Bell wanted to believe that the act of measuring an electron did not necessarily disturb it, and gave the value of some hidden variable that was determined all along. If he were right, then quantum mechanics would be proved wrong. So all he really had was an argument that some alternative theory of hidden variables is wrong. quantum mechanics teaches us that (especially before a measurement) there is no "objective truth about the state of Nature" from which all the knowledge of all observers would be derived as projections or a subset. Yes, that is right. I am not sure about the religious implications, but that is a core view of quantum mechanics that goes back to Heisenberg, von Neumann, and Dirac. It is not something that Bell discovered decades later. Saying that Bell's Theorem rules out "realism" seems very profound, until you learn that realism is just defined as some particular hidden variable theory.